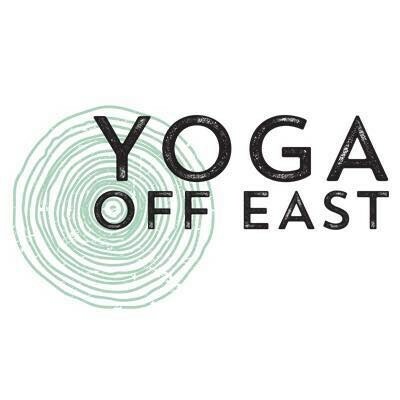 Start taking classes at Yoga Off East and other studios! Yoga Off East is a neighborhood studio adjacent to Duke University on Ninth Street offering flow yoga classes 7 days/week! We recently moved to 702 Ninth Street (across the street from our previous location). The studio is located on Ninth Street, 2 blocks from Duke's East Campus. Free street parking is available along Ninth Street or our closest cross street, Perry Street. A city lot ($1/hr) lot is also available to the right of Happy+Hale. Starting March 1st, we will be located at 702 Ninth Street, just across the street from Happy+Hale! The studio is located just across the street from Happy + Hale on Ninth Street. Our closest cross street is Perry Street. This class fit the needs of a variety of levels- it was structured and qued so a beginner yogi could take it yet Laura guided it at a steady pace that breath work and variations could be worked in. I love the Sanskrit and her beautiful singing voice! Tammy was great, very knowledgeable and kind instructor. I loved her “assists.” Also, they gave me a free smoothie from Happy + Hale because it was my first class. Thank you!! wonderful combination of flow and stretch, just like it says. more than a restorative or yin class but less than a traditional flow vinyasa class. great evening wind down. Love the new studio space although mats now cost $2 to rent. Class was good and challenging and but moved at a slower rate. I would've preferred the instructor to be more hands on but that's just my personal preference. Thank you for the feedback, we always appreciate learning from our community! I just wanted to clarify that our $2 mat rental program has been in place since we opened inside Happy+Hale in April 2016. I apologize if that was not made clear in the past! Feel free to email with any other questions/concerns. Thanks for being part of our 9th St yoga community! Space was noisy but they are working on it! She is the best yin teacher!! 75min with Nicole will leave you feeling chill and at peace.??? ?